September is National Preparedness Month. Are you and your family prepared to face an emergency? Use this free printable as a starting point. 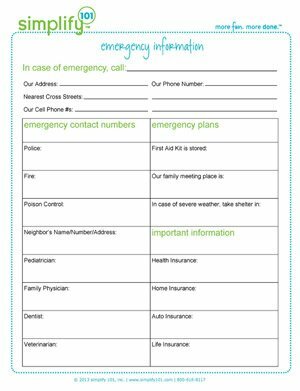 By noting important emergency contact information in one place, you will have a great resource for family members and babysitters alike.